The American Revolution secured our national independence, established our republic, created our national identity and articulated ideals of liberty, equality, civic responsibility and natural and civil rights that have shaped our nation’s history and will shape the future of the world. 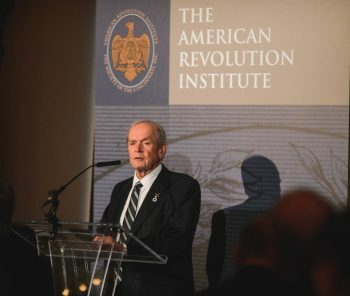 The public launch of the American Revolution Institute of the Society of the Cincinnati took place in May 2014 under the leadership of then-chairman of the Board of Overseers William Francis Price, Jr. The American Revolution Institute of the Society of the Cincinnati is an advocacy organization dedicated solely to promoting understanding and appreciation of the American Revolution and its legacy. We imagine a future in which every American is inspired by the American Revolution, the vast event that created our nation, and embraces our revolutionary ideals of universal liberty and responsible citizenship. The Society of the Cincinnati, the nation’s oldest patriotic organization, created the American Revolution Institute in 2012 to renew appreciation of the history and ideals of our revolutionary generation. Like the Continental Army officers who founded the Society of the Cincinnati, we believe the American Revolution was, in the words of the Institution of the Society of the Cincinnati, a “vast event” that set our nation, and the world, on the path to universal liberty. 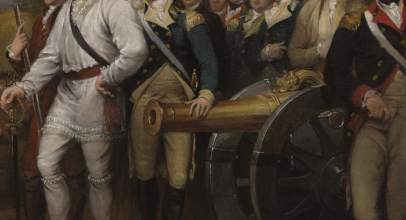 advocate for the memory, ideals and legacy of the American Revolution. The history and ideals of the American Revolution are the foundation of our national identity. If they are forgotten, we will have nothing to hold us together. Future generations, unaware of the historic sacrifices that secured our liberty, will fail to value that liberty and sacrifice to preserve it. Our country, as it has been for more than two hundred years, will be lost. We won’t let that happen. 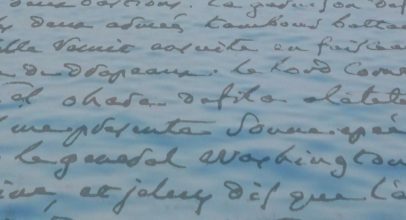 We are working to perpetuate the remarkable story of our Revolution and the ideals we hold most dear. We invite you to join us in this work.